Retired child and adolescent psychiatrist and American expatriate in New Zealand. In 2002, I made the difficult decision to close my 25-year Seattle practice after 15 years of covert FBI harassment. I describe the unrelenting phone harassment, illegal break-ins and six attempts on my life in my 2010 book The Most Revolutionary Act: Memoir of an American Refugee. This is why I call them “WICKED SAMARITANS”, trust me, all tobacco farmers, cigarette manufacturers and suppliers across the world are pretty aware that smoking is a guaranteed path to Self-Suicide as tobacco is dangerously harmful and brutally toxic to human live. By introducing tobacco smoking to minors, children and teenagers around all schools via heavy and colorful adverts in shops, kiosks, food outlets, mobile vendors, it is clear that these tobacco companies are heartlessly only interested in increasing sales and profits as they don’t respect the public health of innocent minors or adhere to the core values of the United Nations Convention on the Rights of the Child (UNCRC); “doing everything in the best interest of the child”. According to a 2018 study that was launched in March, 2019 conducted in the context of the Tobacco Industry Accountability (TIA) Project funded by the Campaign for Tobacco Free Kids (CTFK) and implemented by the African Tobacco Control Alliance (ATCA) and its country partner, Tobacco-Free Association of Zambia (TOFAZA), there are specific tobacco companies and cigarette brands that are initiating Tobacco Smoking to School Pupils and children in Zambia. The study revealed that the tobacco companies or cigarette brands that are heavily advertising their cigarettes and aggressively sponsoring their tobacco related products around Zambian schools targeting pupils are 1. Chelsea, 2. Pull Mall, 3. Guards, 4. Express Royal, 5. Pacific Blue, 6. Peter Stuyvesant, 7. Safari and 8. Monte Carlo among others1. Reversing their campaign to block the Swedish extradition warrant between 2010 and 2012, Assange’s lawyers are also mobilizing to have the Swedish prosecutors return to London with a new warrant, so that this can stretch out the legal wrangling in London for long enough to reach a new British election. If won by Jeremy Corbyn and the Labour Party forms a new government, Assange may benefit from a decision to move Assange’s prosecution to the UK courts, and then to release him. The case for and against Julian Assange (lead image, 3rd from left) will keep him in the UK for at least eighteen months, probably two years, possibly three, according to leading London lawyers. The UK will have a new government by then; the US too. In the interval, Assange’s lawyers are preparing to prove the US indictment for conspiracy to commit computer hacking will be superseded by espionage charges. That, they will argue, requires the Westminster Magistrates’ Court to throw the US extradition application out. In addition, their evidence for American political motivation in the prosecution of Assange, and of US violations of the UK and European standards for a fair trial in an independent and impartial court, will be presented. The Chief Magistrate, Emma Arbuthnot, is likely to preside. The hearing is unlikely to start before December of this year. Glyphosate (Roundup) not only kills the gut microbiome (the source of human immunity), it also destroys soil fertility. 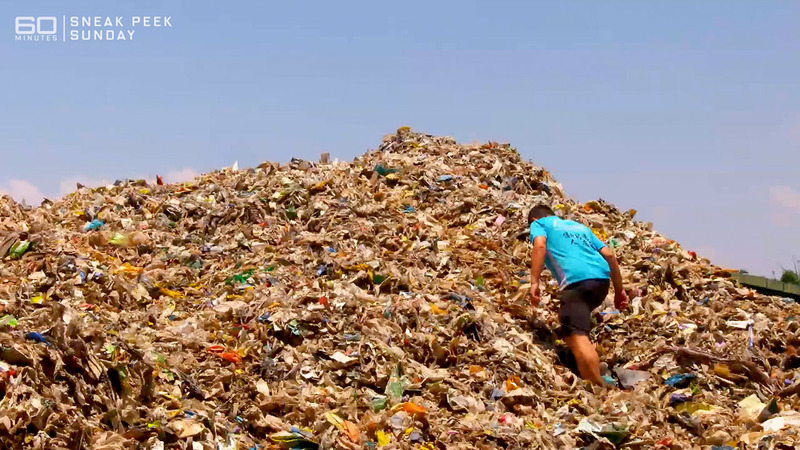 Tonight on 60 Minutes, reporter Liam Bartlett exposes our national recycling lie: that the majority of our plastic waste is not being reused or recycled at all. Instead it is ending up dumped, buried or even burned in illegal processing locations in Southeast Asia. Most Australians think they’re doing the right thing when they take their recycling bins to the curb every fortnight. But our belief that we’re doing our part for the environment is somewhat misguided: Australia’s plastic recycling industry is largely a con. ‘Plastic, Not so Fantastic’ airs at the special time of 7pm tonight on Channel 9. For more on 60 Minutes, visit theofficial website. For over 20 years, Australia’s plastic recycling industry was reliant on China, which bought our mixed and often contaminated plastic waste, and melted it down into new plastic products to sell back to us and the rest of the world. This documentary is based on the unfinished manuscript of African American author James Baldwin’s book Remember This House. 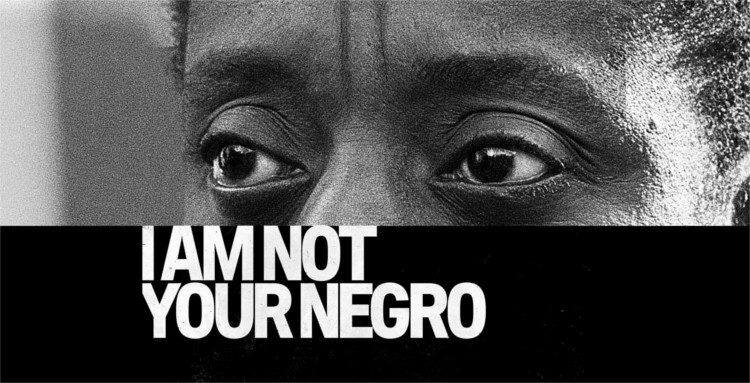 Narrated by actor Samuel L. Jackson (in the voice of Baldwin), the film explores the history of racism in the United States through Baldwin’s reminiscences of slain civil rights leaders Medgar Evers, Malcolm X, and Martin Luther King, Jr, as well as his personal observations of American history. The film combines film footage of the Southern civil rights movement, the 1965 March on Washington, speeches by Malcolm X, Martin Luther King and Baldwin himself, along with clips from various Hollywood films depicting a stereotyped view of Black/White relations. In his unfinished book, Baldwin describes leaving the US in 1948 to live in Paris, seeking to escape a constant fear of racial violence that hampered his writing. He returned to the US in the 1960s when the civil rights movement started. He felt motivated both by an obligation to support the struggle and a desire to reconnect with his family and the African American community. For me, the most interesting part of the film is Baldwin’s insightful analysis of the white neuroticism that underlies racism. Baldwin describes a total separation between the public and private lives of white people. Because they are so terrified of their private selves, whites build elaborately phony public lives. Guilty and constricted, they sink into what Baldwin describes as “moral apathy.” Incapable of seeing beyond their own selfish needs, they find it easier to project the ugliness they sense in themselves on a convenient scapegoat (ie African Americans). Baldwin makes the point repeatedly that white violence against Blacks is just as prevalent in the North as the South. The film includes footage of explosive debates in which Baldwin directly confronts white critics who chide him for being too bitter and too focused on race. After a weekend of cyber attacks on Ecuador for expelling Assange, Anonymous is threatening to take it to the next level. They intend to take it to the UK government sites. Threatening the worst attacks in history by Anonymous, they warn England to beware.After Assange was arrested last Thursday when Ecuador let the British police into the embassy, there has been a huge public outrage as well as smears by the press.